My first children’s book “The Cynja” was featured on Newshour on PBS. The PBS NewsHour’s Hari Sreenivasan speaks to co-authors Chase Cunningham and Heather Dahl about their new comic book, “The Cynja”. Fictional character Grant Wiley, 11, is a wiz on computers. One day, his favorite teacher disappears, leaving nothing at his desk but a smoldering USB stick. Suspecting his help might be needed, Grant grabs the stick and plugs it into his computer at home. He’s instantly sucked into the Internet and thus begins his adventures as a newly trained “cynja” fighting computer worms, hackers, malware… and worse. 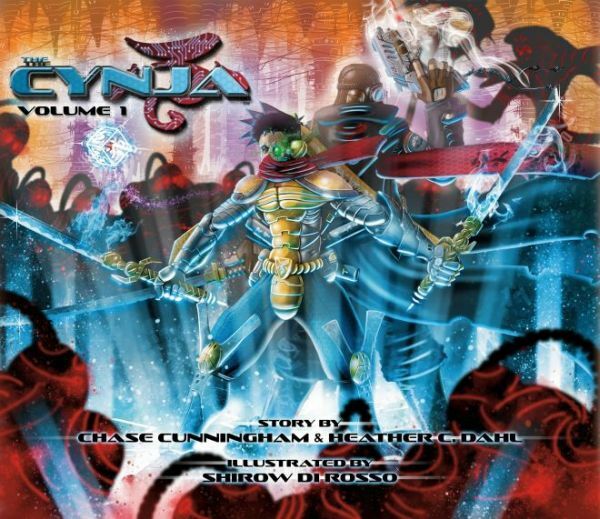 Authored by Chase Cunningham and Heather Dahl, who both work for cybersecurity consulting firms, “The Cynja: Volume 1” aims to introduce children to the world of cybersecurity and teach them how to protect their computers. Dahl said in an interview with the PBS NewsHour’s Hari Sreenivasan that she was motivated to take on the project when she tried to find a book to teach her young nephew about “the bad guys who live in our computers.” But “I couldn’t find anything that showed the world I work in,” so she approached Cunningham to help fill the void.